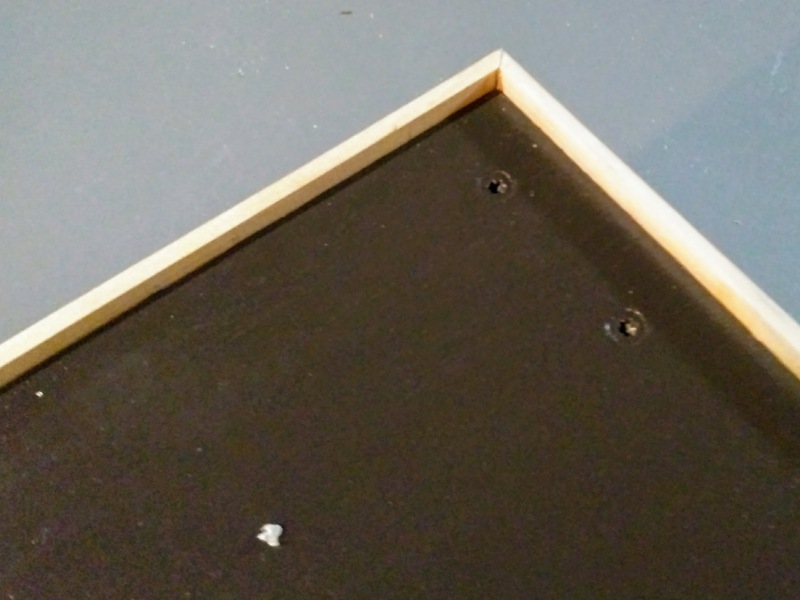 With some plywood and some 2×4, Charlie built a new feeding stand for Clara and Riley because Riley, the troublemaker, likes to push the dish off the current stand and spill the food all over the floor. Before giving the cats their new gift, I needed to paint it. Using some leftover paint I found in the basement from the previous homeowners, I primed the feeding stand and an old step stool my dad built when I was younger. I didn’t have my phone with me when I primed the feeding stand and the step stool, and I thought, “Oh, I have plenty of time to take photos. I’ll do it later.” Instead of taking pictures, I dove right into the brown paint because I’m a moron. 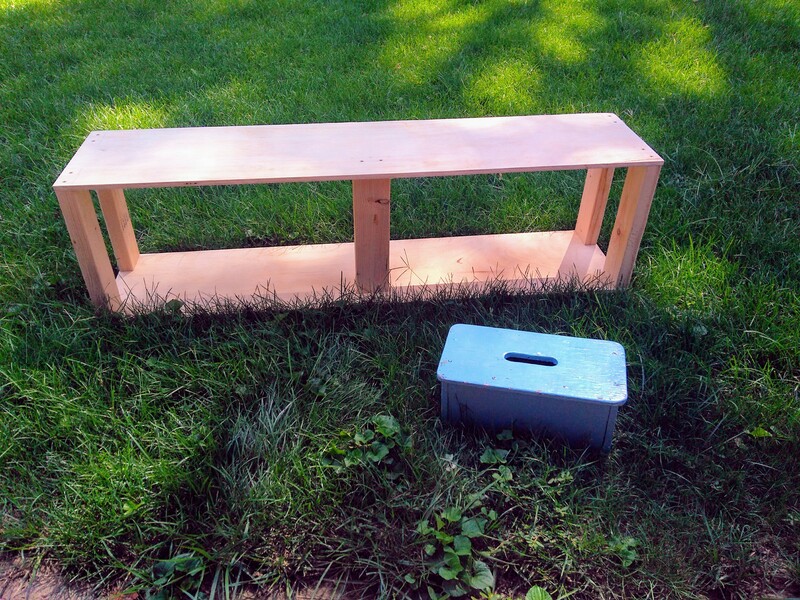 For proof that I actually primed both items, I snapped a shot of the area in the backyard where I painted. 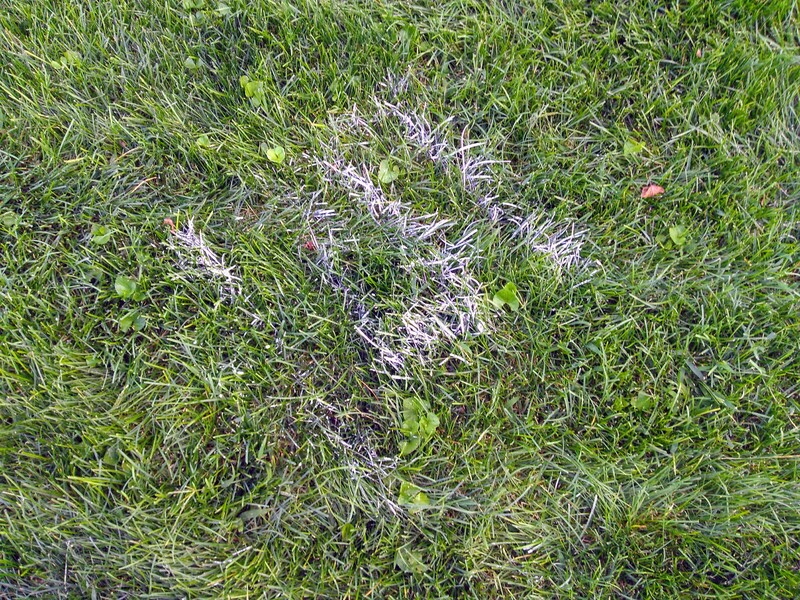 I figured the lawnmower would take care of the painted grass. I was wrong. 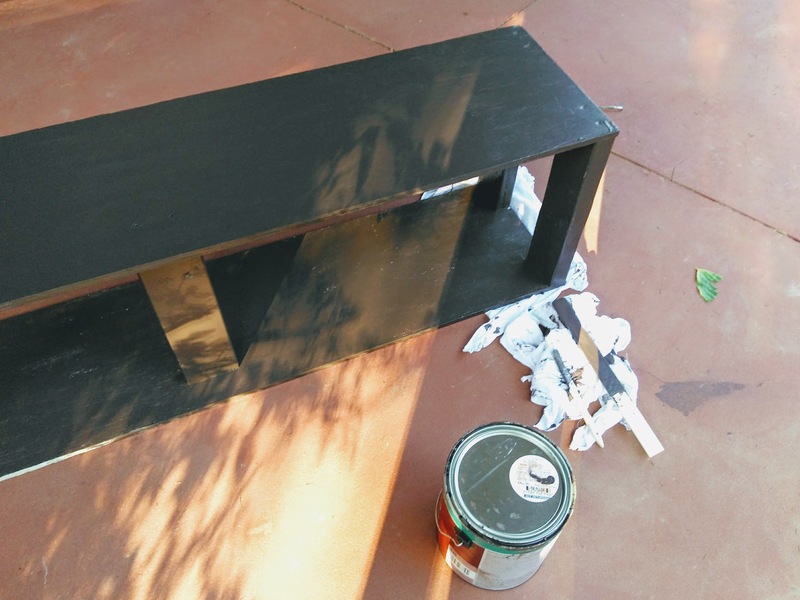 Once the feeding stand and the step stool had been primed with the old paint (one coat because I don’t really know any better), I started painting both items a rich brown to match the other decor (bookcases, couch, etc.) in the house. I used a smaller paint brush because I felt I had more control and I could take my time. My reasoning probably doesn’t make any sense to anyone else, but I feel rushed when using a bigger brush. 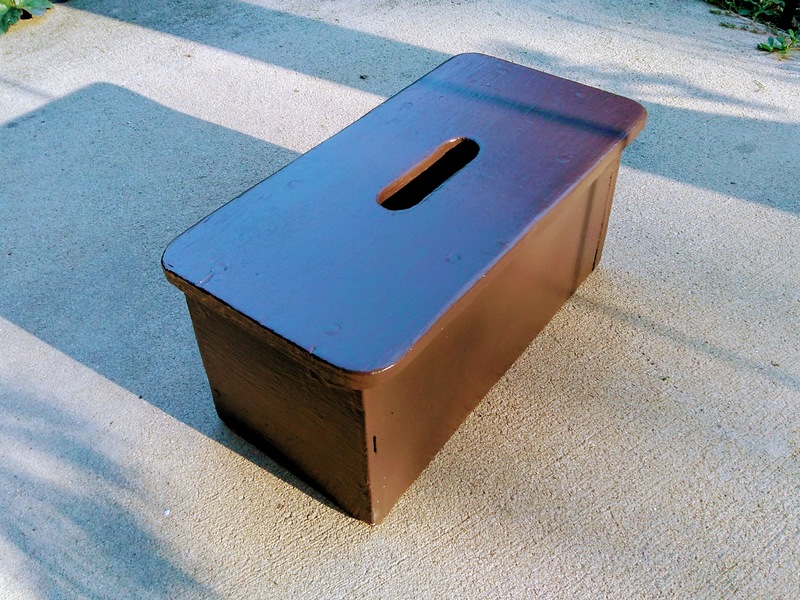 Nothing fancy — just a simple step stool my dad built a long time ago and moved it from house to house. I nabbed it when he cleaned out his last house. I probably could add a monogram or something cute, but my project list is way too long right now. A fresh coat of paint definitely made the step stool look nicer and made me happier. The feeding stand was a few brush strokes away from being complete when Charlie added some trim to the top because Riley likes to either push or tip the slow-eating food dish over the edge for easier access to the food. Charlie believes the trim will keep the food dish in place despite Riley’s attempts to knock it the ground. Time will tell who will win this battle. 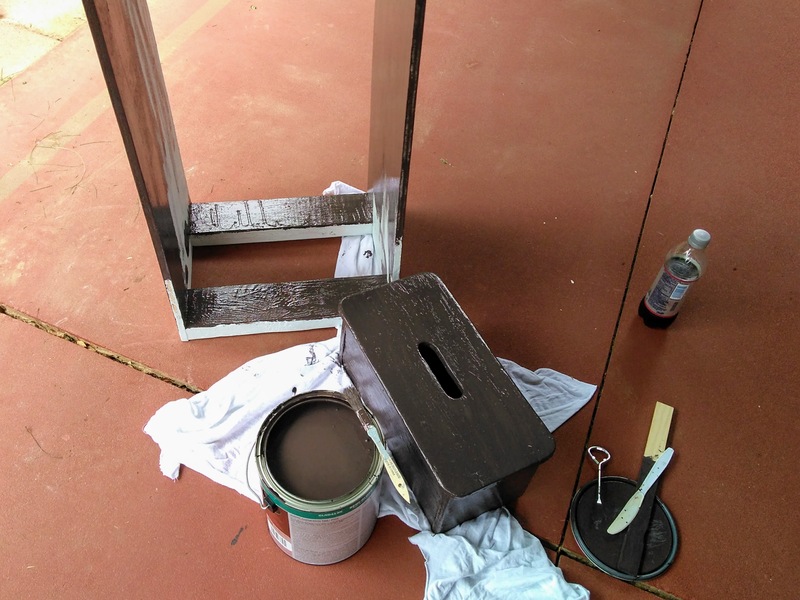 Just a few paint coats away from moving the feeding stand from the back porch to the living room, where Miss Clara and Riley can jump up on and whine for food. My little troublemakers definitely have been testing the boundaries, believing the new environment means the kitchen table and new kitchen counter are no longer off limits to them. They are so wrong. Ta-da! Beautiful! Absolutely beautiful! 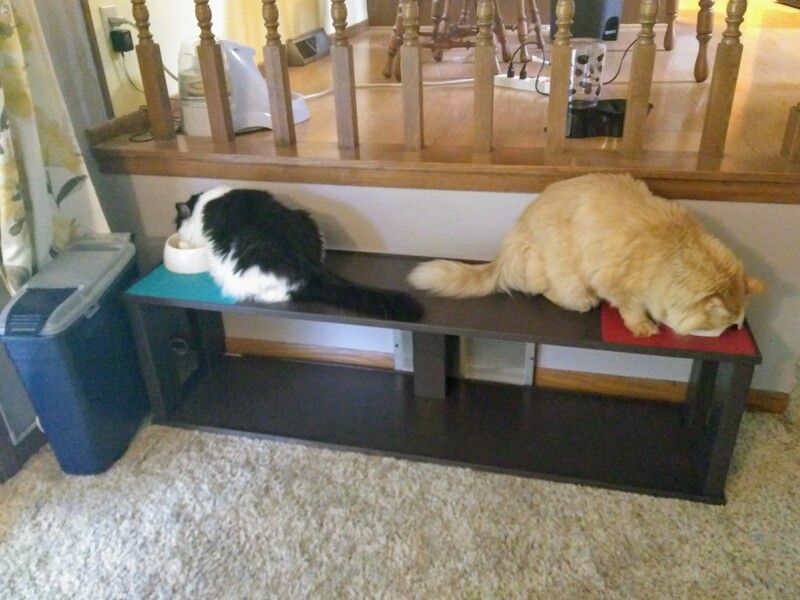 The new feeding stand fits perfectly between the kitchen and the living room and the top shelf seems big enough for both cats to eat peacefully. We stuck plastic cutting boards underneath the dishes because the cats paw out a kernel of food and eat it off a flat surface. As long as their feeding schedule was not disrupted, Clara and Riley adjusted quickly to the new feeding stand. Yay! I love the cat stand! Simple but very functional. Great job. When it comes to food the cats should have no problem adjusting to the new piece of furniture. 🙂 The stand looks fabulous. Great job.